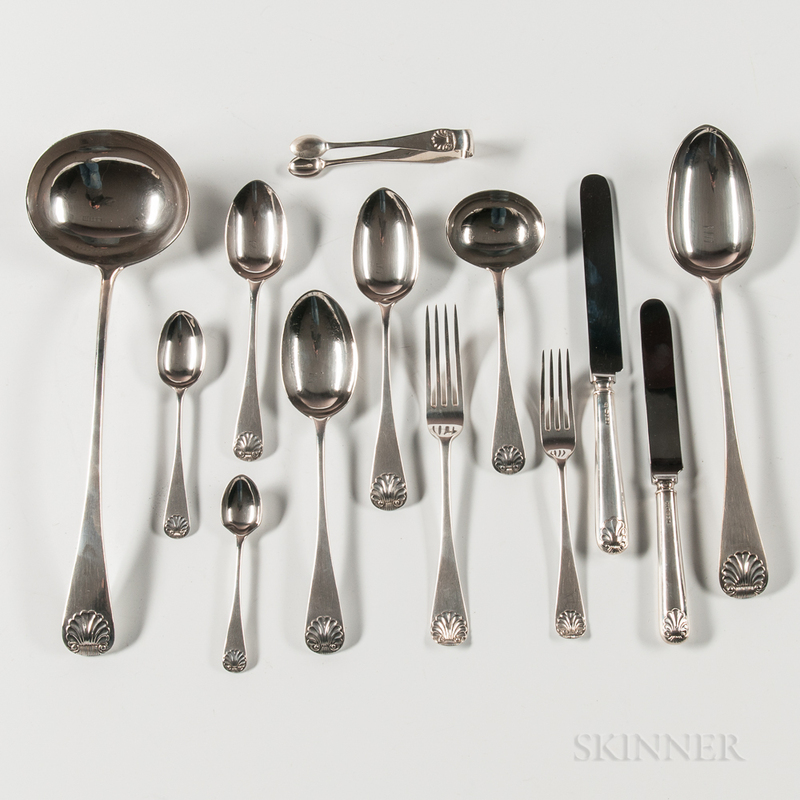 Edward VII Sterling Silver Flatware Service, London, 1908-09,Holland, Aldwinckle & Slater, maker, twelve each: soupspoons, dessert spoons, luncheon/dessert forks, dinner forks, and teaspoons; six egg spoons, six tablespoons, four sauce ladles, a soup ladle, stuffing/gravy spoon, and sugar tongs, approx. 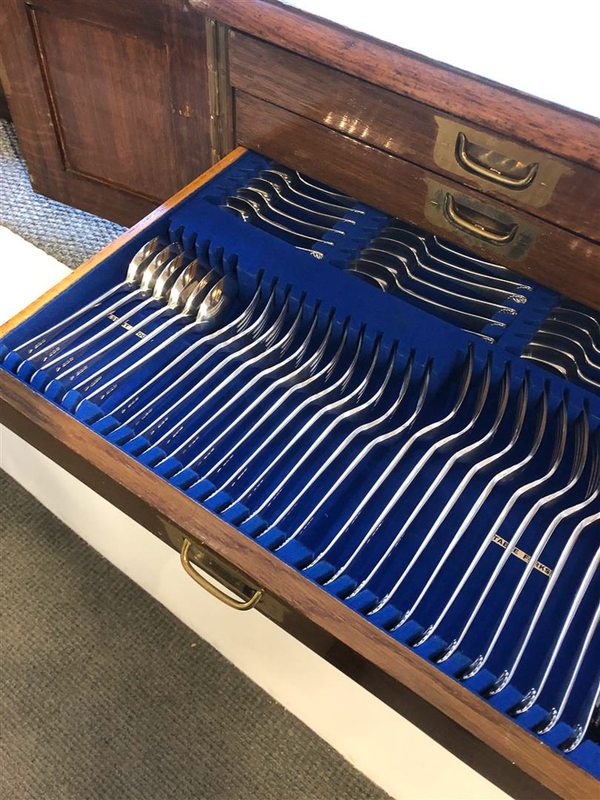 145.0 troy oz. 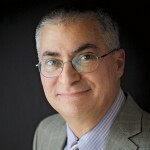 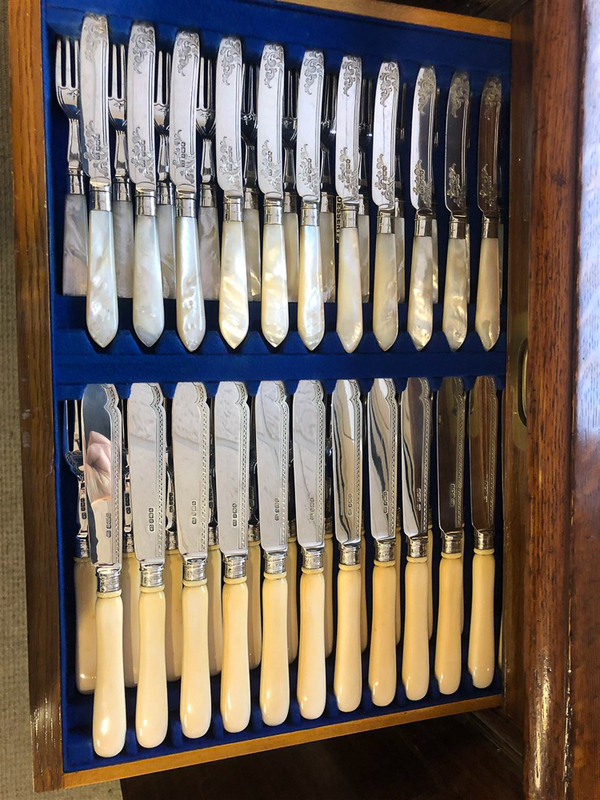 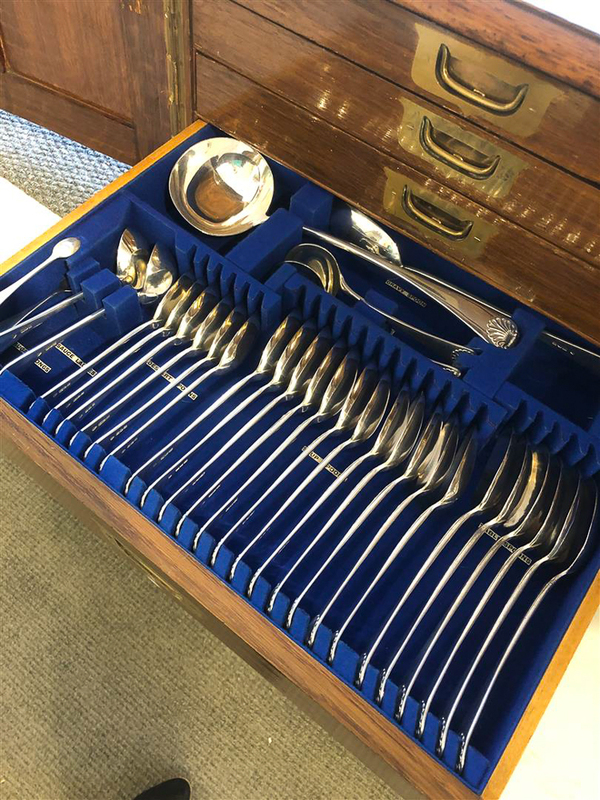 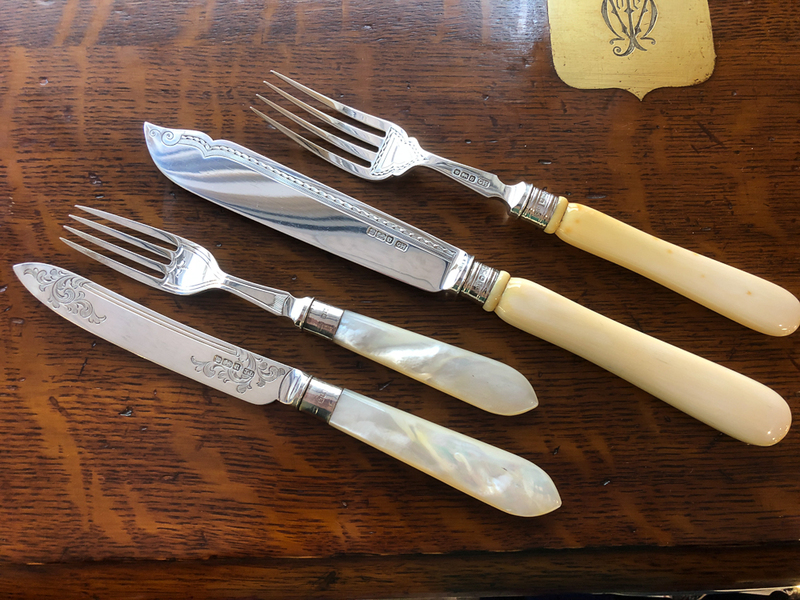 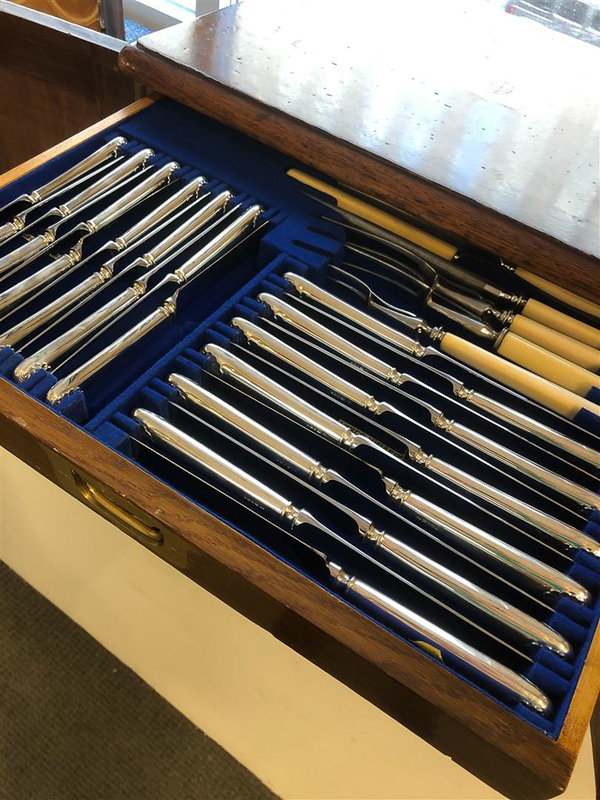 ; together with a modern set of twelve hollow luncheon knives and twelve hollow dinner knives in a matching pattern, as well as a seven-piece carving set, twelve each: fish forks and knives, and twelve each: fruit forks and knives, all in a fitted four-drawer oak chest.